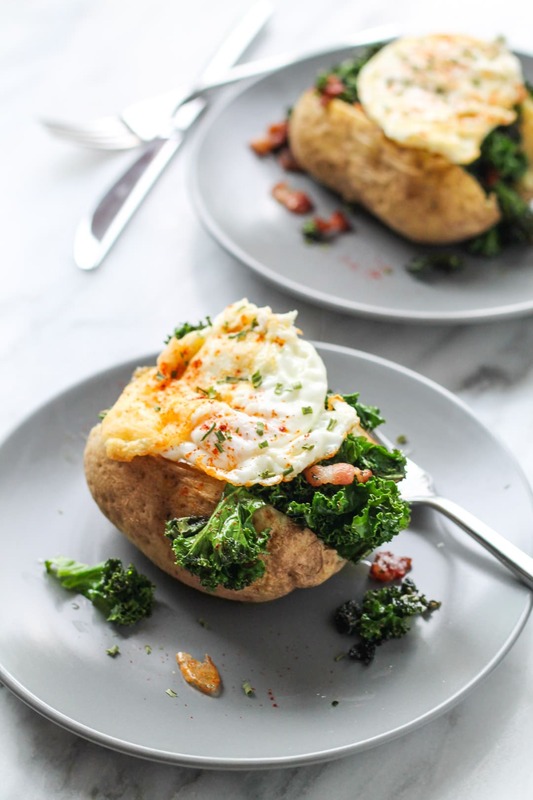 A quick and easy meal any time of the day, this Low FODMAP Breakfast Stuffed Potato recipe is filled with bacon-y kale and topped with an ooey-gooey egg. Savory breakfasts and brunches are pretty much my jam. 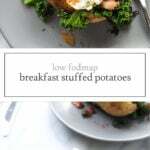 And, this Low FODMAP Breakfast Stuffed Potato recipe is my current favorite. If you’re not a fan of kale (you should still try it :), you can substitute spinach or your favorite low FODMAP veggie. 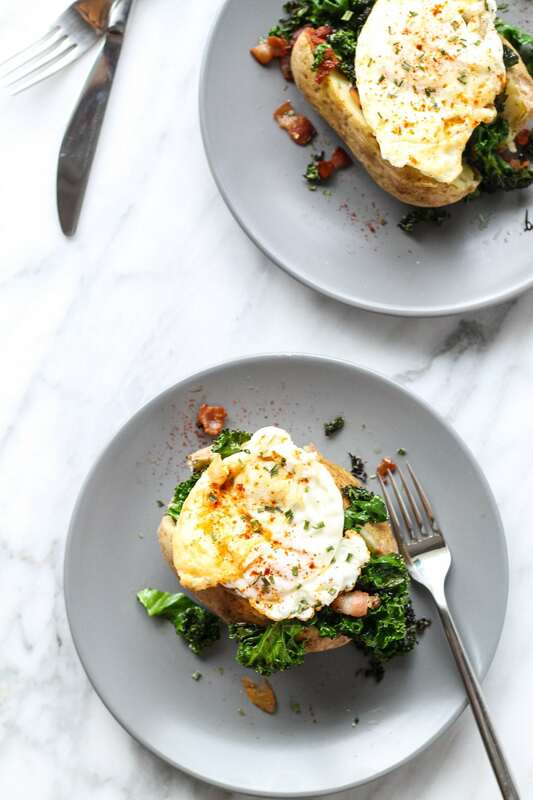 A quick and easy meal anytime of the day, this Low FODMAP Breakfast Stuffed Potato recipe is filled with bacon-y kale and topped with an ooey-gooey egg. Prick potatoes with a fork. Microwave for 5 minutes or until tender. Set aside. While potatoes are cooking, heat a medium skillet over medium-high heat. Once hot, add diced bacon and cook, stirring occasionally until almost done. Stir in kale and cook until just wilted and bacon is crispy. Add oregano and season to taste with salt and pepper. Cover and remove from heat. In a small pan, cook eggs to liking. Slice potatoes in half lengthwise. 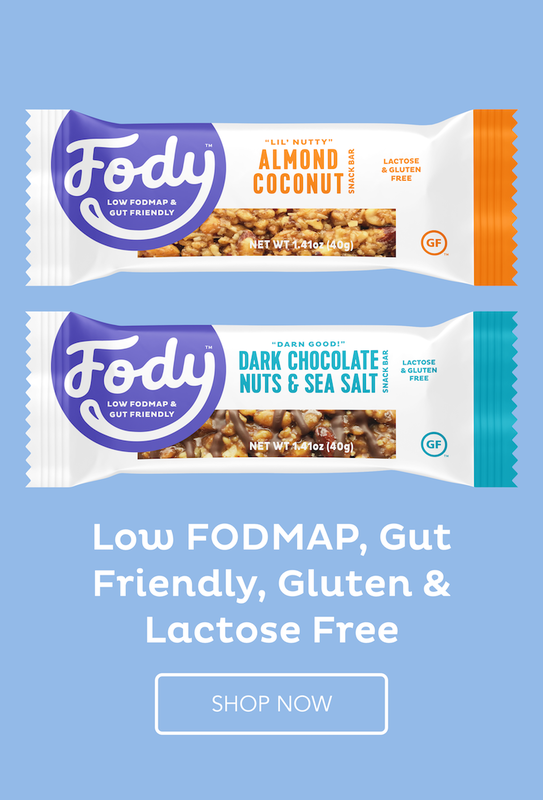 Top each with 1 tsp. butter, 1/2 kale mixture, and an egg. Serve topped with optional chives and enjoy.